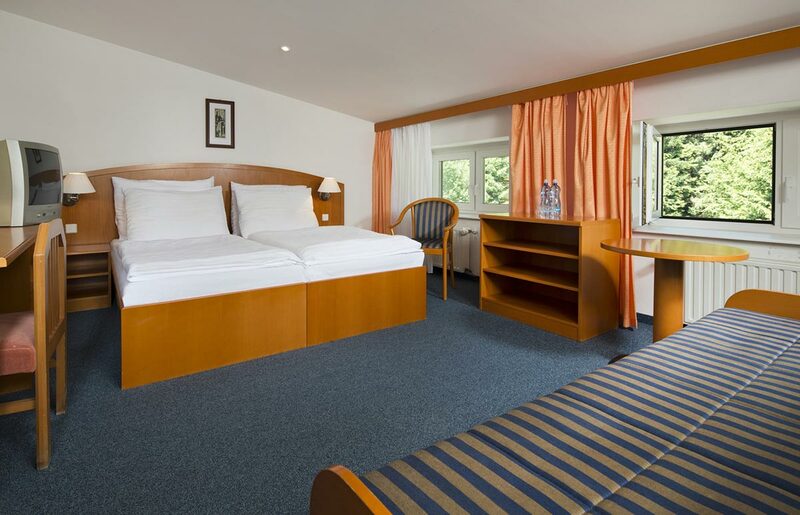 Orea Hotel Spicak *** has 73 double or twin rooms with extra bed. 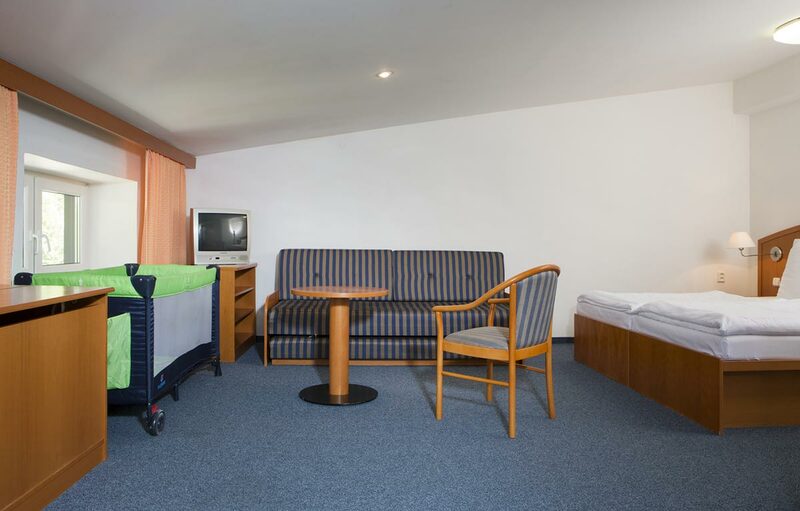 All rooms come standard with satellite TV, telephone, bathroom with shower and toilet, and complimentary Wi-Fi. “Standard” rooms feature 22 m2 of living space. They are equipped with satellite TV, telephone and complimentary Wi-Fi access. A bathroom with shower and toilet come in every room. A baby cot can be ordered on request. 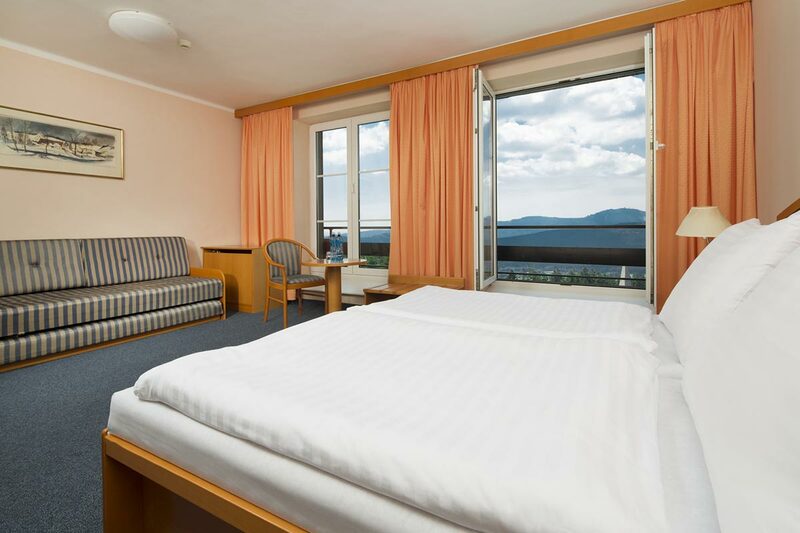 The 25m2 rooms have a balcony, so you are offered a beautiful view of the surrounding area. They are equipped with satellite TV, telephone and complimentary Wi-Fi access. A bathroom with shower and toilet come in every room. 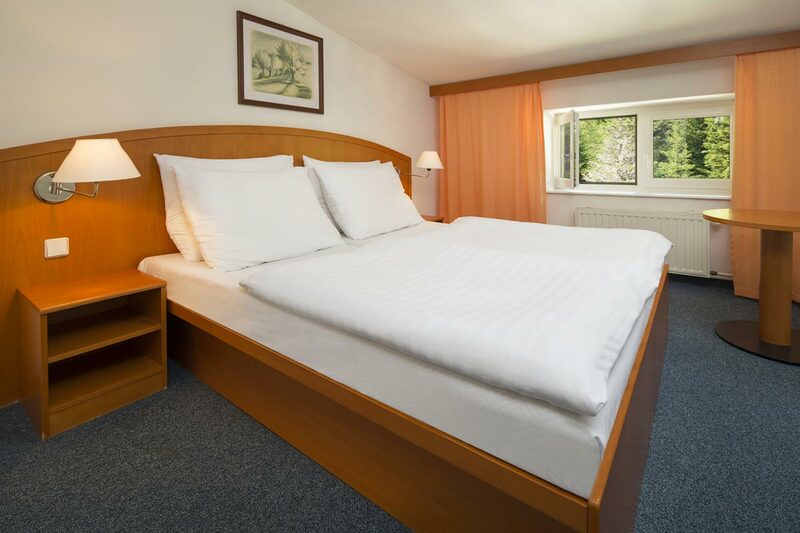 The rooms are 29 to 36 m², and you can order an extra standard bed. They are equipped with satellite TV, telephone and complimentary Wi-Fi access. A bathroom with shower and toilet come in every room. 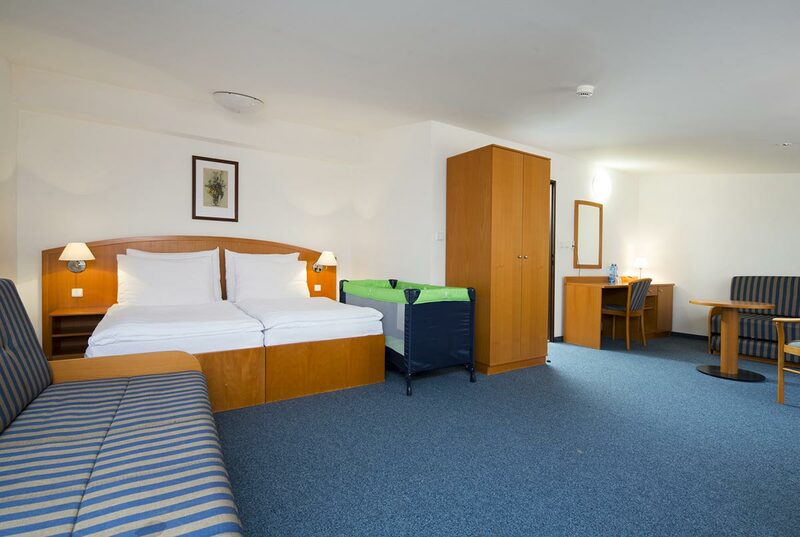 Family rooms feature 50 m² of living space and are designed for 2 adults and 2 children up to 12 years old. You can order 1 child’s bed and 2 standard beds for your room. They are equipped with satellite TV, telephone and complimentary Wi-Fi access. A bathroom with shower and toilet come in every room. Mineral water is available in the room.